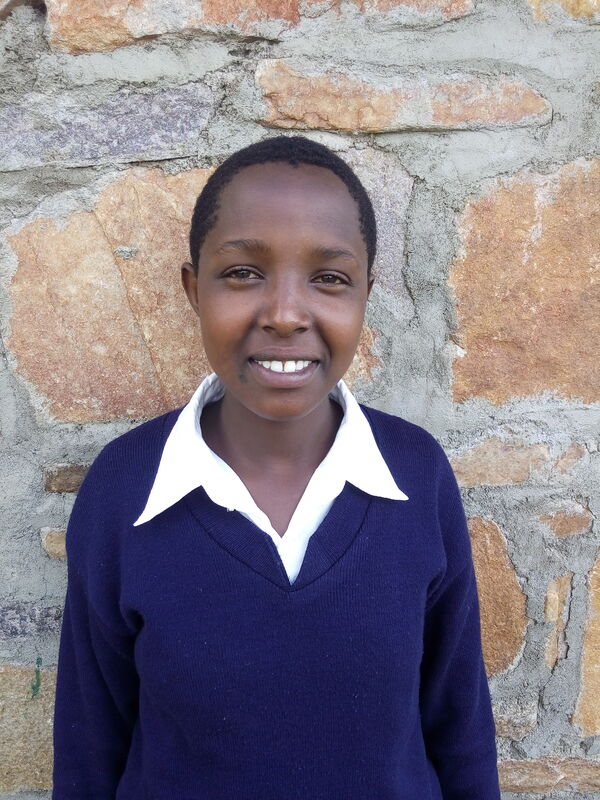 Nemburis escaped child marriage through education. My name is Nemburis. I am a Maasai girl aged 14 years from Sakala village in Ngorongoro District in Tanzania. I am the first born in my family of five children. My parents are livestock keepers. We have only four cows and no goats at all. When I was at primary school my father wanted me to marry a man of 62 years old who has seven other women in his boma. The man is very rich and the community respects him because of his many cows and goats. But I was really against the marriage. My father tried to isolate me from other family members because I was resisting. I tried to be so calm and patient, attempting to show my father how much I still need to study. But my father was totally thinking about the bride price – the number of cows the old man promised he would give my father in exchange for me. I thank god I was rescued! I had contact with the Pastoral Women’s Council [African Initiatives’ partner in Tanzania] who secretly brought a policeman to help me. I am grateful for the strength of the policeman who came to my home and took me away. The policeman had violence from ‘my husband’ with cooperation from my father. I was taken to Emanyata Secondary School in October 2014 for my pre-Form 1 studies. Now I am comfortable at Emanyata Secondary School. I am studying very hard and last month I was the top performing girl with six As and three Bs. I am now the second in the whole class of 76 students after one boy – I am planning to overtake him as I want to be the first. I am always aiming higher in my academic performance because I want to show my father that I am not a commodity to sell. I also want to show my community that it is not right for girls to be mistreated. The Maasai must give girls opportunity to show what they have in their minds, which will support the community to move forward. I beg for you to help African Initiatives. If they have money, African Initiatives could support me to finish my studies and also save other girls from forced marriage. We need your help so we can achieve our goals of being among the strong ones in Maasai community. Donate to African Initiatives’ School not Slavery!’ Child Marriage Appeal here.